Apart from the browse information of the projects in the solutions, other JSON files can be stored in the directories given in the global options. To build browse information for the standard runtime library, you can use the command "Build phobos browse info" from the Visual D menu. This will compile the JSON files from the DMD installation given on the global options page. 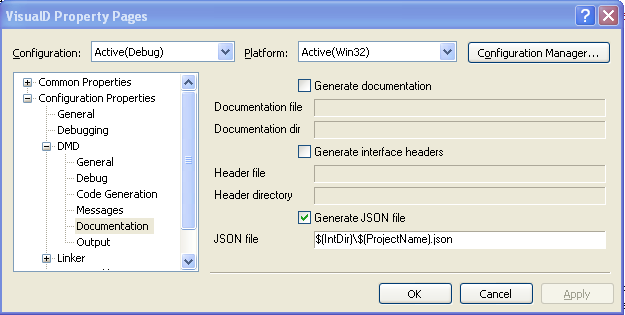 The files will be written to the first directory of the JSON paths specified on the same page. If none is given, a directory in the Visual D installation folder is used. Please make sure that you have write access to that directory. The browse information read from the JSON files can now be explored by the Visual Studio Object Browser and Class View.